Located in North Carolina’s horse country, Derbyshire takes full advantage of the equestrian influences of the surrounding area. 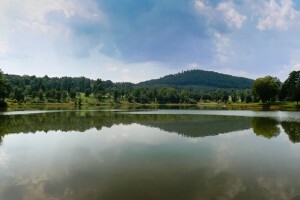 Our community offers both an equestrian facility and access to some of the most exclusive riding trails in the region. The Community Stable features 12×12 matted box stalls, indoor heated wash stall, a tack room, a feed room, and a rider’s lounge with a kitchen. There is a separate building for hay and shavings storage. 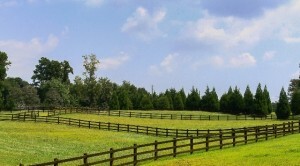 The equestrian facility also features a schooling ring and acres of established pastures. The construction of a riding arena is planned for the near future. Derbyshire’s own community trail system connects to both the CETA and FETA trail systems, providing members with access to more than 160 miles of horse trails.